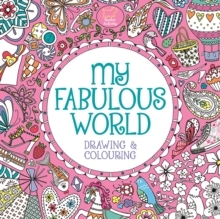 Draw, doodle and colour the fabulous pictures in this beautiful book. They're funky, bold and super stylish, and it's up to you to transform each page into a show-stopper. From pretty patterns to trendy accessories and delicious cupcakes to chirping birds, grab your pens and make your mark on this fabulous book.